The Navy routinely challenges China's territorial claims in South China Sea. 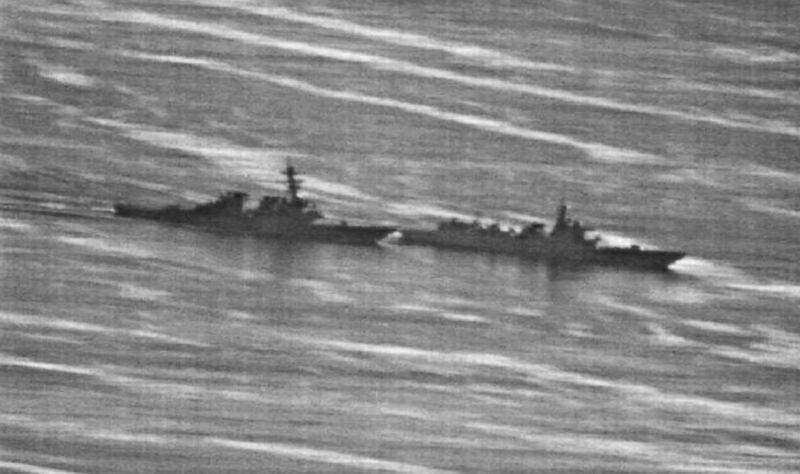 Two U.S. Navy destroyers sailed within 12 miles of Chinese-claimed artificial islands in the South China Sea on Monday, and, as expected, the operation drew swift condemnation from China. 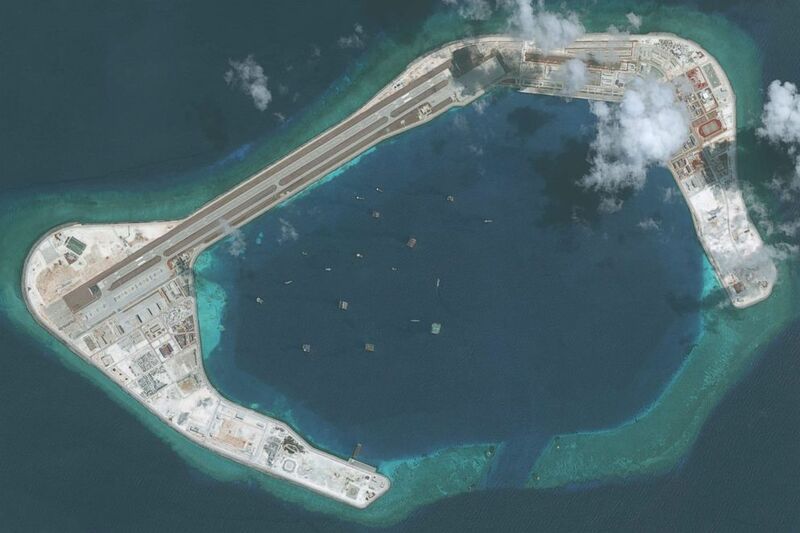 (DigitalGlobe/Getty Images) DigitalGlobe satellite imagery shows the Subi Reef in the South China Sea, a part of the Spratly Islands group, May 28, 2018. 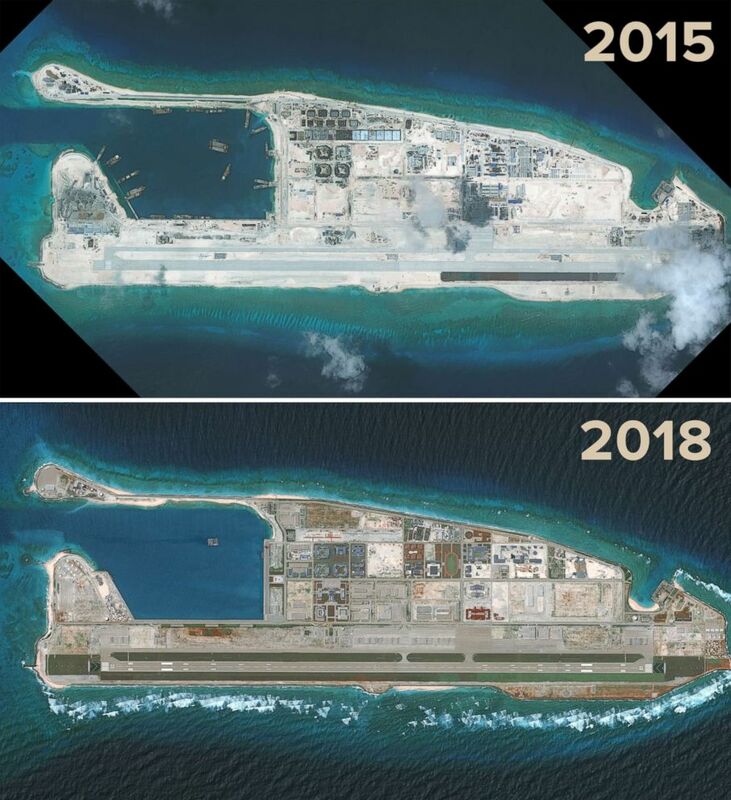 (DigitalGlobe/Getty Images) DigitalGlobe satellite imagery from Sept. 3, 2015 and Aug. 15, 2018 show the progress of development on the Fiery Cross Reef located in the South China Sea. Every year, the U.S. Navy carries out Freedom of Navigation Operations worldwide to challenge excessive maritime claims. But the FONOPs of China's claims in the South China Sea that always draw the most attention.